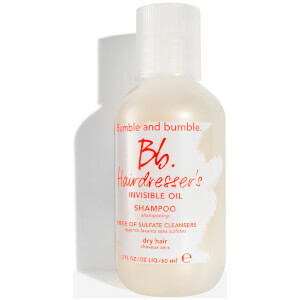 Infused with an expert blend of six feather-light oils, Bumble and bumble's Hairdresser's Invisible Oil Heat/UV Protective Primer is a lightweight, pre-styling mist that has been specially formulated for the needs of dry, coarse or brittle hair. Designed to soften and detangle your hair whilst eliminating frizz, this multi-tasking primer will also protect against breakage, heat styling and UV damage to keep your tresses feeling strong and healthy. With a sweet, fruity scent that will linger in your hair, the primer won't weigh your locks down. - L.M. I bought a set last year that come with a smaller bottler of this and the full size oil and fell in love with it. I recently bought a big bottle of this and it’s the only product I use after I’ve washed my hair. I sometimes use the normal oil depending if my hair needs it. 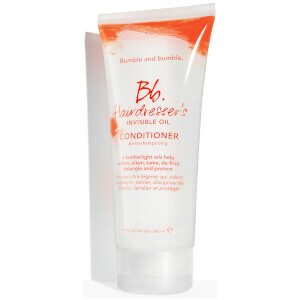 This is truly invisible and doesn’t weigh hair down or leave a residue. I simply spray it on damp towel dried hair comb it through and leave my hair to dry naturally. Once my hair is dry it’s so soft and manageable. I have bleached, dry ends, oily scalp and suffer from dandruff. This is truly a holy grail in my hair care routine. If my hair is feeling very dry I use this the day before I’m going to wash my hair. I spray it so my hair is covered and put it in a bun and wash out the next day. So my hair has been in a bad state after a hairdresser ruined my waste long hair by not using proper colouring techniques. It got to the point where I couldn't brush through wet hair. So I added this plus several other products to my routine and have to say it is great. My hair is still pretty dry and damaged but much better after using this. So I bought this spray because I work outdoors and unfortunately have extremely frizzy and dry hair in the sunshine, but I spray this before I leave as well as after I've washed it and it does what it says on the bottle! 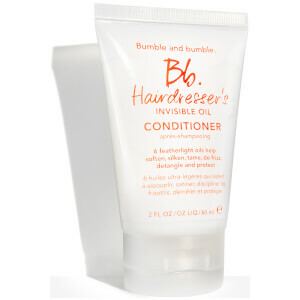 The smell is amazing, it turns my frizzy flyaways into curly bits of hair! It also works well as a detangler too! You won't be disappointed! I have short thick hair, prone to being greasy but also on the dry side when styling. I also blow dry and straighten my hair most days. This whole range has really elevated my hair - its looks glossier and the heat primer is the icing on the cake and helps achieve a more "just been to the salon" look. I went from long to very short in January and started using this stuff not long after. I'm normally a stickler for getting my hair cut every 6-8 weeks but somehow I woke up and realised I've got to June without a trim. I've even been complemented recently on how it looks like I have had it cut and I'm going to say its 100% down to this line. Absolutely LOVE it. As others have said I was totally skeptical about whether it would be oily but its not at all. Its the real superhero of the range! . Amazing product, smells like heaven, nourish the hair. Apply after shampoo and conditioner. I really like this. I was sceptical as it has oil in it and I was worried it would make my hair oily but it doesn't at all. 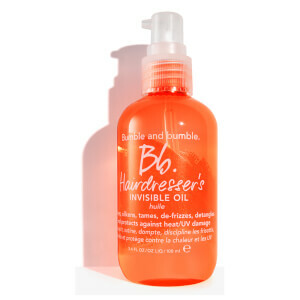 It sprays on nicely and helps detangle as well as offering protection from heat styling, bonus! Also smells good. It's so lightweight but helps detangle and protect from the heat which is perfect. My hair looks nourished once dry and although it's oil based it doesn't feel oily.